New NO SMOKING legislation was brought into force, in England, on the 1st July 2007 to prevent smoking in enclosed public places. All workplaces must be smoke free or employers face prosecution. Have you seen our incredible range of custom-made Health & Safety Signs?Customised signs are available for both internal and external use, in Self Adhesive Vinyl or Rigid Plastic, and with customised prices starting from only £6.85, the prices are incredible! Have a look at the different signs that we can custom make specifically for your organisation. Designated Smoking Area - Health & Safety Sign (FA.11F). All signs are available in a self adhesive vinyl or a 1mm Rigid Plastic. 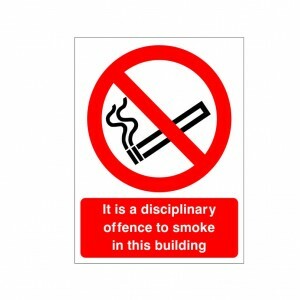 It Is A Disciplinary Offence To Smoke In This Building - Health and Safety Sign (PRS.20) - Clear and concise signs for amazing value for money prices from Safety Services Direct! Only £1.75, order yours NOW! 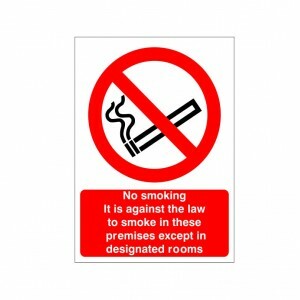 It Is Against The Law To Smoke In Any Communal Area Of These Premises - Health and Safety Sign (PRS.99) - Just £1.75! We have some of the best priced health and safety signs online, available to order TODAY! It Is An Offence To Smoke Or Permit Others To Smoke Within This Building - Health and Safety Sign (PRS.18) - At Safety Services Direct we offer one of the most comprehensive health and safety sign ranges online! It Is An Offence To Smoke Within This Building - Health and Safety Sign (PRS.15) - Our No Smoking signs are clear, concise and great value for money! Just £1.75! No Naked Light - Health and Safety Sign (PRS.14) - For just £1.75, order your high quality and durable No Smoking sign TODAY! 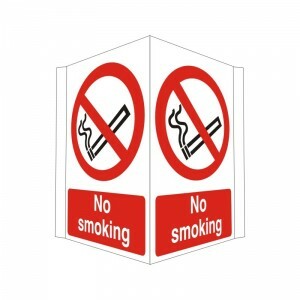 No Smoking - Health and Safety Sign (PRS.25) - All of our No Smoking signs are highly durable, top quality and amazing value for money! 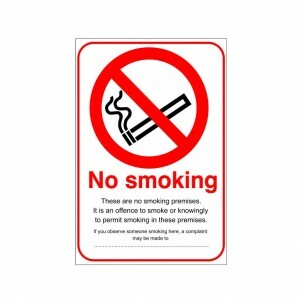 No Smoking - Individual - Health and Safety Sign (PRS.08) - Super-high quality no smoking signs for as little as 90p! From Safety Services Direct. 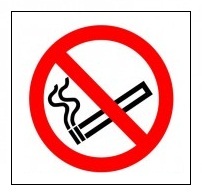 No Smoking - Projecting - Health and Safety Sign (PRO.21) - This sign is designed to be wall mountable and projecting so that clear messages can be seen more easily. Just £3.47! 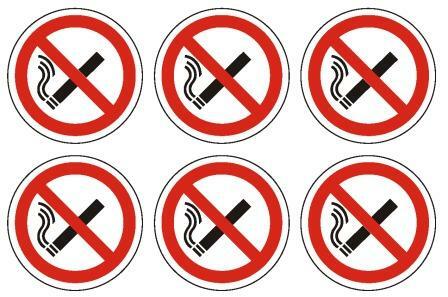 No Smoking - Reverse Printed Window Graphic -Health and Safety Sign (PRS.92) - For all your health and safety needs order TODAY with Safety Services Direct! No Smoking Beyond This Point - Health & Safety Sign (PRS.07). All signs are available in a self adhesive vinyl or a 1mm Rigid Plastic. No Smoking Company Policy - Health and Safety Sign (PRS.05) - Durable, clear and concise Health and Safety Sign for just £1.75 from Safety Services Direct! No Smoking Except In Designated Rooms - Health and Safety Sign (PRS.28) - Clear, concise and highly durable no smoking signs for just a minimal £1.75! From Safety Services Direct! 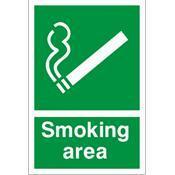 No Smoking In This Area - Fire Health and Safety Sign (PRS.03) - Huge savings with Safety Services Direct. All your sign needs for super-low prices! No Smoking In This Building - Health and Safety Sign (PRS.06) - Class-leading No Smoking signs for as little as £1.75! From Safety Services Direct! No Smoking In This Toilet - Health and Safety Sign (PRS.09) - Safety Services Direct offer one of the most extensive ranges of Health and Safety Signs online for ultra-low prices! £1.75! No Smoking In This Vehicle - Health and Safety Sign (PRS.41) - Order your great quality No Smoking signs for bargain prices with Safety Services Direct! This Smoking Area health and safety sign is produced from high quality materials offering great durability for only £1.95! No Smoking It Is Against The Law To Smoke In These Premises - Health and Safety Sign (PRS.26) - Great value for money No Smoking signs for as little as £1.75! Order yours TODAY! No Smoking It Is Against The Law To Smoke In This Pub - Health and Safety Sign (PRS.27) - Safety Services Direct stock some of the best quality signs for ultra-low price points! Just £1.75! 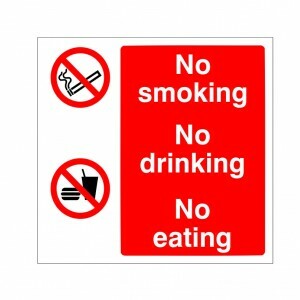 No Smoking No Eating No Drinking - Health and Safety Sign (PRM.01) - Clear, high durability signs from Safety Services Direct. This sign is just £3.47! No Smoking Premises - Health and Safety Sign (PRS.17) - Amazing quality signs for minuscule prices from Safety Services Direct! 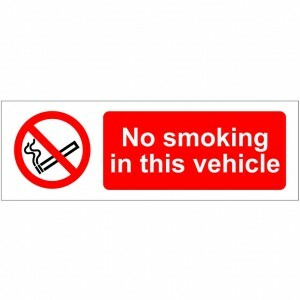 Our No Smoking sign is only £1.75! 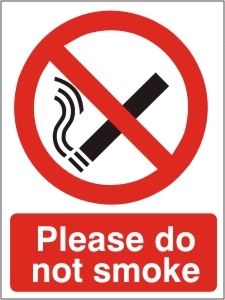 New NO SMOKING legislation was brought into force, in England, on the 1st July 2007 to prevent smoking in enclosed public places. All workplaces must be smoke free or employers face prosecution. All signs are available in a self adhesive vinyl or a 1mm Rigid Plastic. 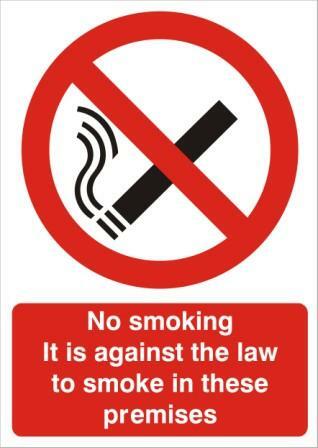 No Smoking £50 Fine - Health and Safety Sign (PRS.22) - For a fractional £1.75,! Get all your essential No Smoking signs from Safety Services Direct! Please Do Not Smoke - Health & Safety Sign (PRS.04). All signs are available in a self adhesive vinyl or a 1mm Rigid Plastic. 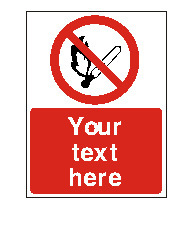 This Is A No Smoking Area - Health and Safety Sign (PRS.01) - We have one of the most extensive ranges of health and safety signs online, coupled with some of the BEST prices!